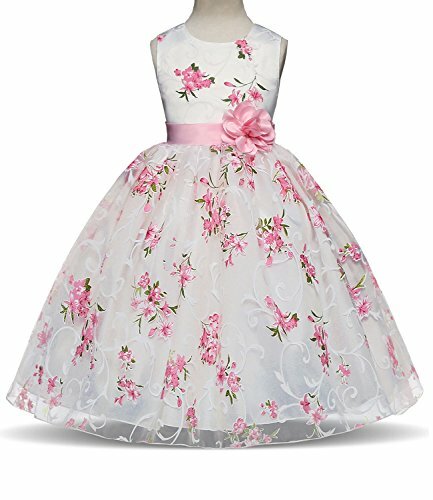 &#x1F33A;Cotton Polyester Blending material, fashion designs for girls. This usually takes around 7-15 days for shipping. 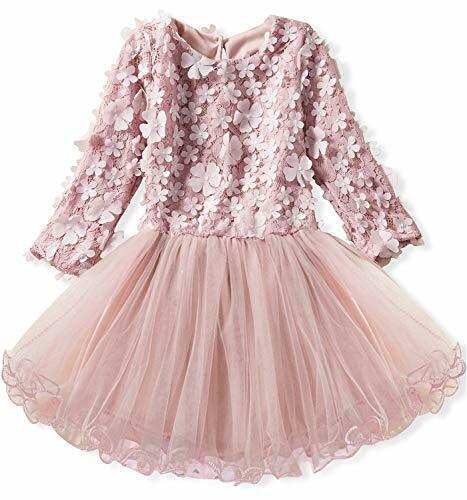 &#x1F33A;Size for Girls (3-8) Years. &#x1F339;Please refer to our size information on the left picture of Detail Size Chart before ordering. Size Table means age ranges for the baby, but they are for general guidance only. 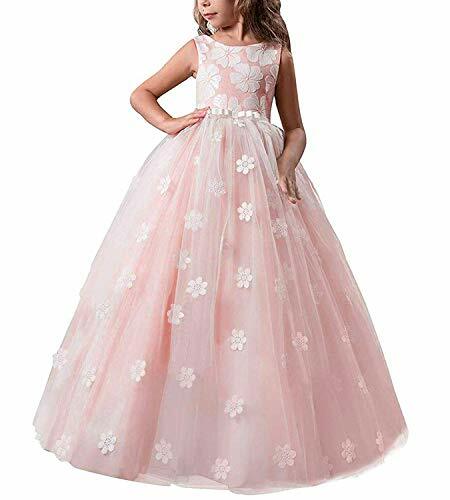 &#x1F33A;Sleeveless, hidden zipper back closure; &#x1F339;The pink flower with green leaves printed on the whole dress,a pink ribbons around the waist. 3D Pink flower on front and adjustable waistband at the waist to tie it for a snug fit. 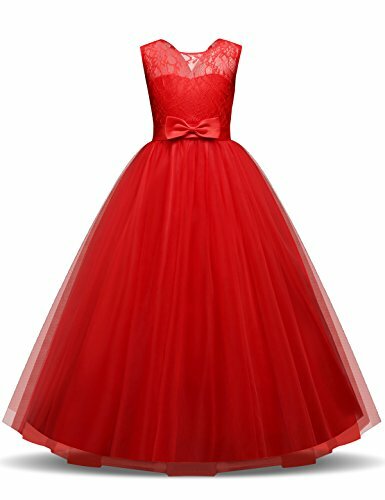 &#x1F339;The dress suit for any dressy occasion such as for wedding, birthday party, flower girls bridesmaids, formals proms, or children's dress up play etc. 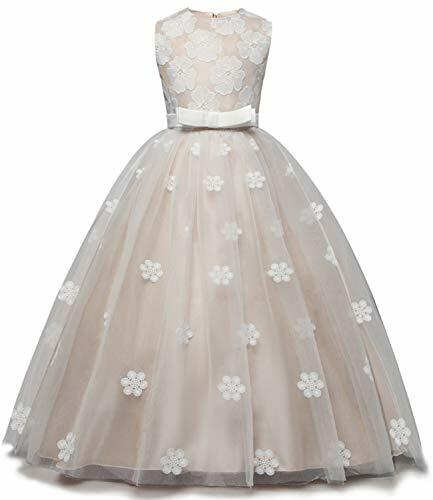 &#x1F33A;Flower layered fluffy tulle design and cotton lining. 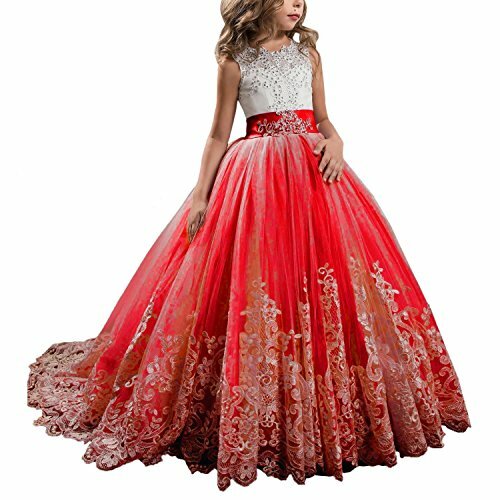 &#x1F339;The top layer is a double layer of fluffy tulles with flowers in it to make this dress more beautiful. 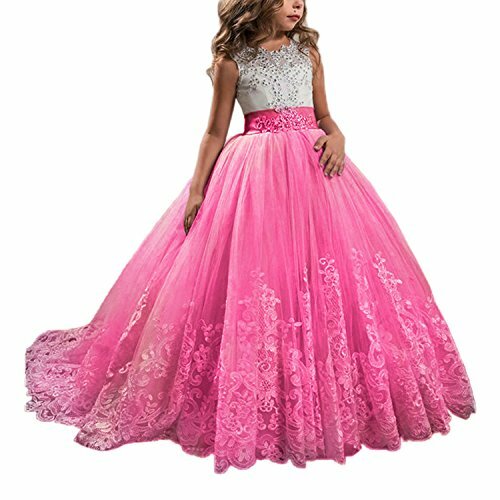 &#x1F33A;Elegant princess dress, filling high-end temperament. &#x1F339;The dress features 3D flower / petal, bow tie, belt, print, layered, applique, lace, tulle / mesh, bringing your princess a new experience. This dress suits for any dressy occasion such as for wedding, birthday party, flower girls bridesmaids, formals proms, or children's dress up play etc. 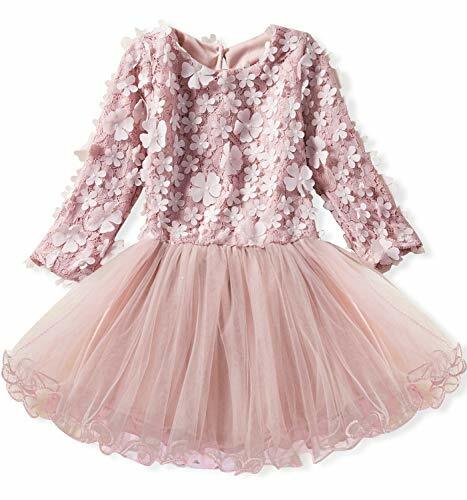 Flower layered fluffy tulle design and with comfortable clothing lining. 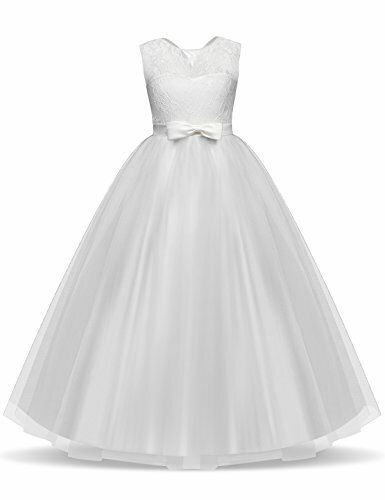 And the top layer is a double layer of fluffy tulle in it to make this dress more beautiful. Elegant princess dress; girls chiffon dress.The back is a button-type system,the dress features 3D flower/petal, lace, tulle/mesh, bringing your princess a new experience. Sleeveless , crew neck and hidden zipper. A bow made with satin fabric is on the waist line. Embroidered white flower sewed on the whole dress. 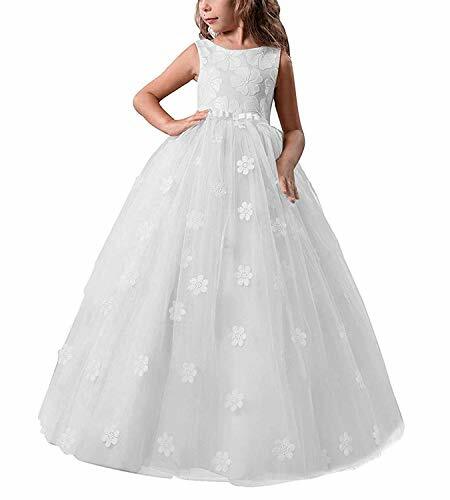 It looks elegant and beatuful.This gown fits perfectly into any wedding party as a flower girl dress or it can take center stage during any styled photo shoot. 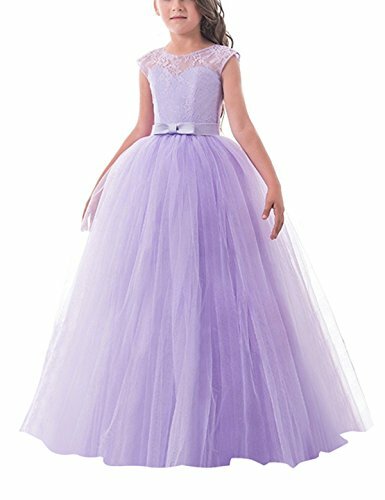 Layered fluffy tulle skirt design: The soft cloth linning, and densely tied a layer of a little hard fabric for additionla fullness. 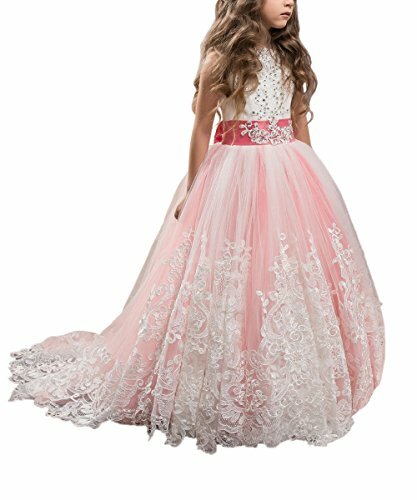 The top layer is a layer of fluffy tulles with many big embroidered flower. The whole dress looks attractive. 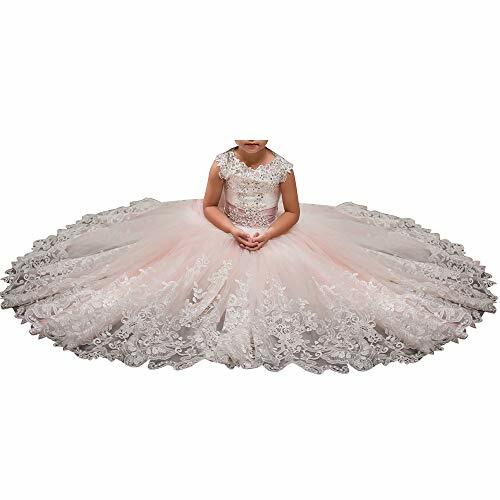 This dress features a floral top and princess cut tulle full skirt. We use the softest and comfortable lace to make sure your peanuts are comfortable to wear all day. Soft to touch. 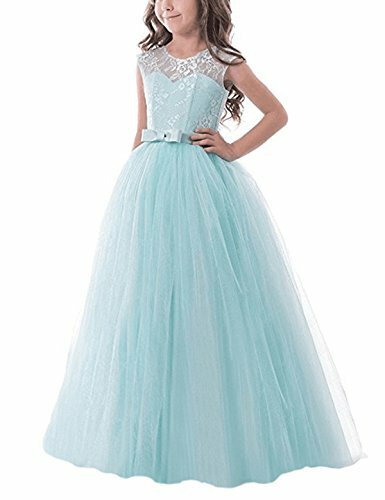 Multilayered Layers of tulle to give a more ball gown appearance. Completely cotton lined and not see through. Sleeveless and crew neck. 'V' type design on the back and hidden zipper. A bow made with satin fabric is on the waist line. 3D white flower sewed on the whole dress. 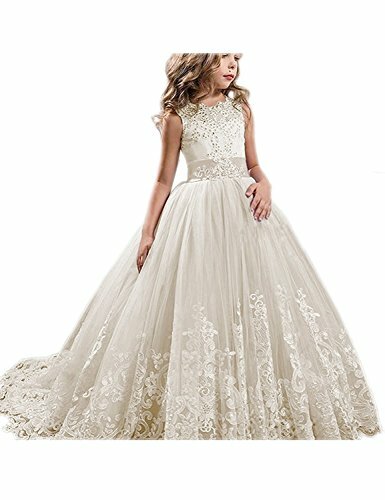 It looks elegant and beatuful.This gown fits perfectly into any wedding party as a flower girl dress or it can take center stage during any styled photo shoot. Pale yellow ball gowns. Layered fluffy tulle skirt design: The soft cloth linning, and densely tied a layer of a little hard fabric for additionla fullness. The top layer is a layer of fluffy tulles with many big 3D flower. The whole dress looks attractive.